Viewing BMW’s CRM systems can help you to decide the type of customer relationship management tools you need in your company. Customer Relationship Marketing tools can be the best way to interact more effectively with your customers, and improve your services or products. However, in the case of a company such as BMW, CRM can also provide assistance with clever product promotions and in creating an aura of exclusivity for the brand. BMW are one of the most well-known car manufacturers, and are prized by customers for their exclusivity and the quality of their finished products. They produce luxury cars and other vehicles for a very limited market, and tend to attract greater customer loyalty than other multinational businesses. As BMW deal with a smaller and more brand aware range of customers, relationship management is an essential part of their overall product. Therefore, collecting customer information and improving the promotion-to-customer ratio is extremely important. BMW need to have CRM software which enables them to improve the promotion of their products, and particularly supports the targeting of particular customers when it comes to new releases. When looking to change their CRM, BMW were focused on finding a product which would allow them to promote their new ActiveE machine. By targeting customers to test drive the vehicle in largely rural areas, the company hoped to encourage purchases. BMW combined this with social media CRM which helped to connect their wider audience to these test drives and also promoted the vehicle to a larger audience. When looking for a new customer relations marketing tool, BMW focused upon particular areas in their current data collection that needed to be addressed. For example, they wished to address the financial cost of collecting customer and potential client data, and also cut back the on the time taken to process data. Through this data collection system, BMW hoped to improve the general effectiveness of their direct marketing campaigns. They also wanted to manage their loyalty programs in an efficient way. Their control of social media through CRM also needed to be addressed in order to enhance their position on the Internet. In order to achieve this, BMW needed a CRM package that could provide them with all of these answers. BMW have been working with their CRM package for a while now. They have been able to implement their ideas into a package which collects and stores important data about BMW’s customers and assesses what each customer requires from the company. 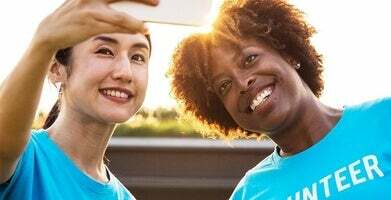 The business has used CRM primarily to provide important information about new products and services, and ways to introduce customers to these promotional items. By improving their understanding of social media in generating information about customer preferences, BMW are reaching out in new and exciting ways. BMW is a large business which has been able to use customer information to find out more about what buyers are looking for from its product. 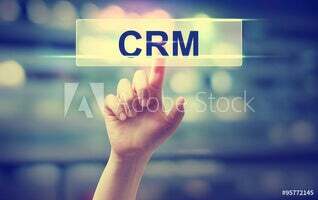 Smaller companies can also benefit from CRM in a similar way.